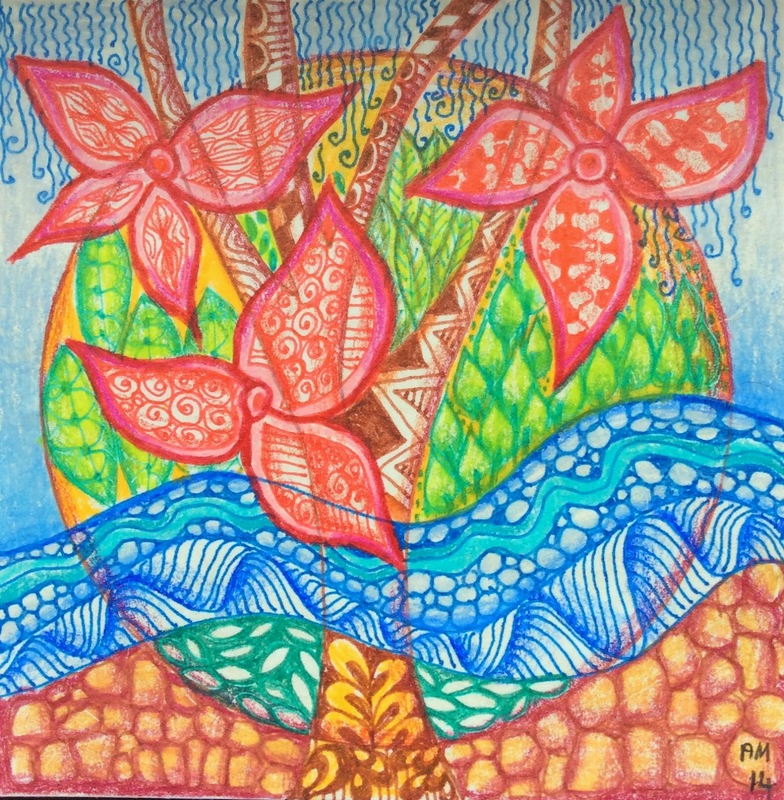 This weeks challenge is to depict Earth Day, April 22nd. In my tile I have collated the sun, water, trees, plants. I worked on a parchment paper tile which doesn't make the colours so bright, as earth is suffering right now, though it remains awesomely beautiful in so many places. I coloured with Prismacolour pencils. I have also made a colour wheel recently so I can decide on a colour scheme for my spiral project. which of course I just had to tangle. 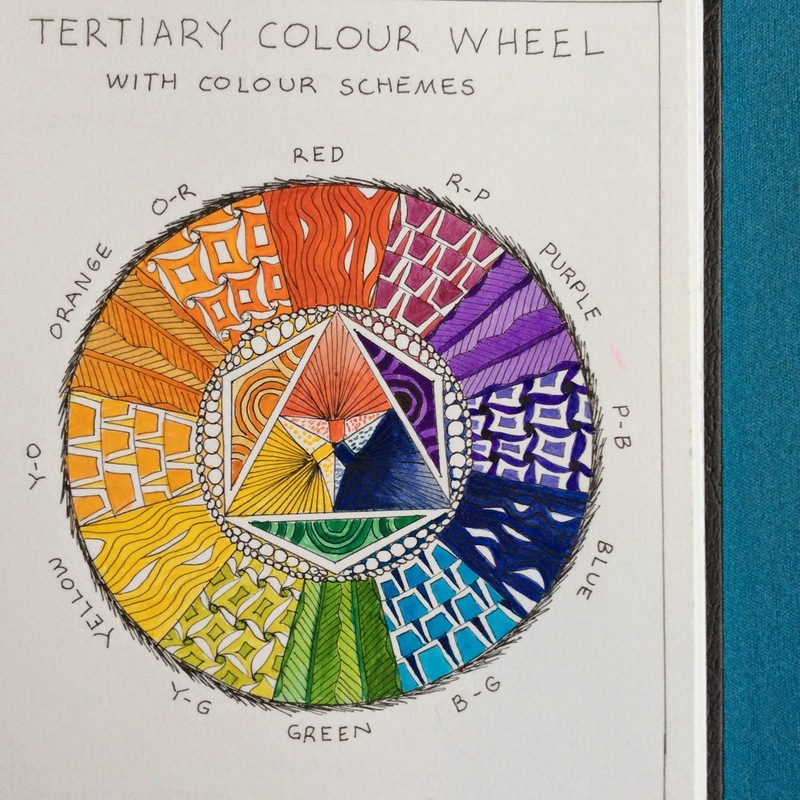 Your colour wheel is a brilliant idea and very inspiring. And I love your Earth Day tile! Your colouring is gorgeous. Also your colour whell. Great tangles. Love the tile; it is very bright and happy :). What a gorgeous color wheel!!! A fantastic color wheel!!! Your tile is beautiful. The Earth Day tile is so well done and I just love the color wheel idea. Oh Anne, this are truly fabulous! Love the colors!